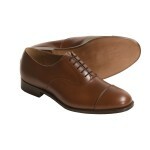 Choosing leather shoes colour for men can be a very involved process. For instance, conventional wisdom says that men need to wear shoes to match their belt; however, the rest of the outfit and the environment must be taken into consideration, as well. Will these shoes be worn casually or formally? Do you prefer a lace-up shoe or one that slides on? What leather shoes colour do you like – black or brown? A high quality pair of leather shoes for men will generally cost $300 or more, so it is important to have a clear understanding of what you want before shopping. We mentioned different styles namely oxfords, loafers, cap toes, dress boots, monk strap last time. This time we are going to talk about colour. To simplify your choices, we are going to focus on two main groups of colours – black and brown. 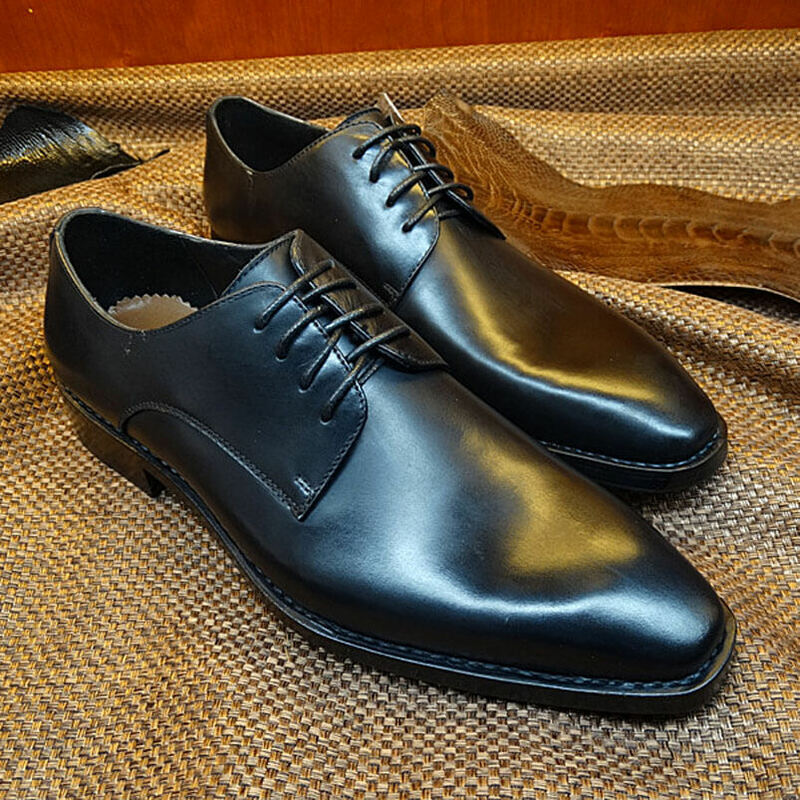 When most men think of a traditional leather shoe, black instantly comes to mind. Black leather shoes for men are generally worn in a more formal setting, although that is not always the case. A good rule of thumb is to consider the level of shine. More formal black leather shoes for men generally showcase a greater shine, lustre, polish, or brilliance. On the other hand, black leather shoes for men that would be well-suited for more casual, semi-formal, or everyday office wear tend to have more of a matte finish. Which colour of brown is best? The truth is, one is not better than the other. But as we are about to review, brown covers a fairly broad range of possibilities when it comes to selecting leather shoes for men. 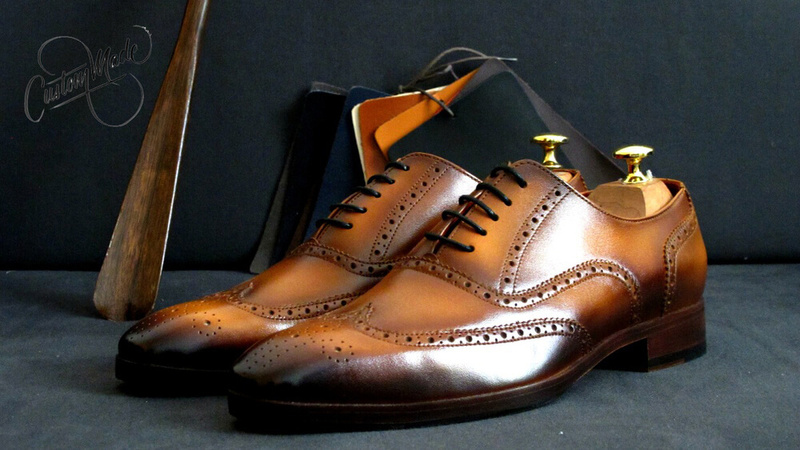 If you decide to purchase shoes in brown, the shade you select will mostly depend upon the attire you intend to adorn and the environment in which they will be worn. Sometimes referred to as tan or walnut brown, cognac brown can vary somewhat. Of all the shades of brown listed here, it is the most likely to catch attention and is best worn with a sharp-looking outfit. This may include dark jeans, charcoal trousers, or even olive chinos. For a more formal look, consider going a shade darker with a more traditional leather choice. 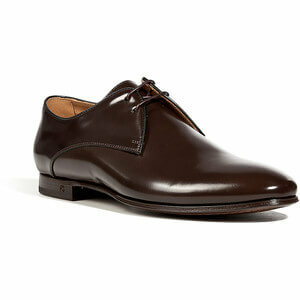 This shade of leather shoes for men is sometimes referred to as medium brown. Choosing leather shoes in classic brown sometimes means the finish will contains hints of brown or black for a gradient appearance. This is known as brown burnished. 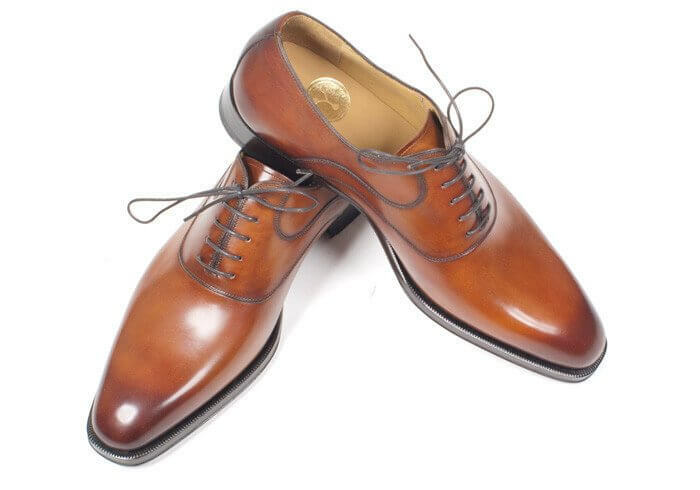 The idea behind finishing a leather shoe with a brown burnished appearance is to give it a more antiquated, worn, and traditional look – especially at the heel and toe. Often referred to as brown-black, this shade of brown can be confused for black when seen in dark areas. If shades of brown leather shoes for men were to be measured on a scale ranging from casual to formal, dark brown favours a more dressy ensemble. 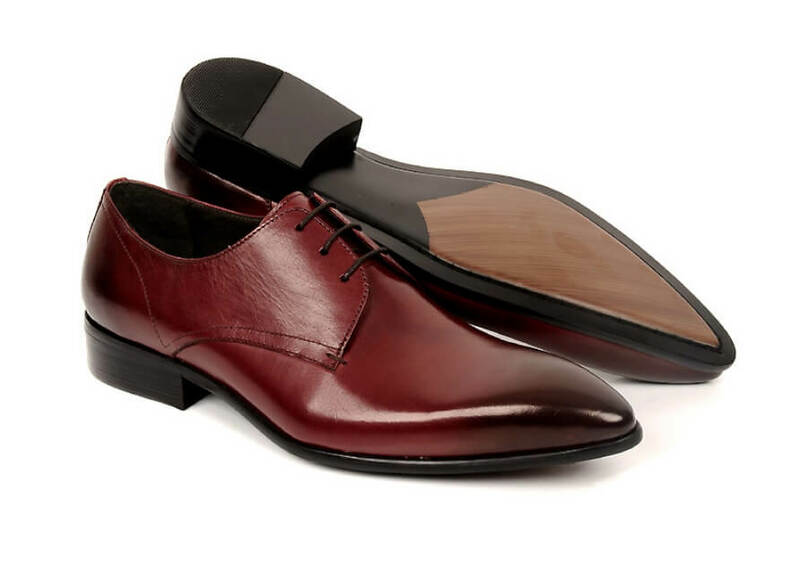 Red-brown leather shoes for men are sometimes considered burgundy depending upon the exact shade. The red tones can also be more pronounced depending upon the lighting. Compared to the three previous brown shades described, choosing leather shoes in red-brown can be tougher to match with clothing. In most cases, charcoal or dark navy trousers should suffice. A muted khaki would work, too. Milan Tailors from Hong Kong, is coming to Europe!